After all of the worry, the paperwork ended up much easier than I thought. 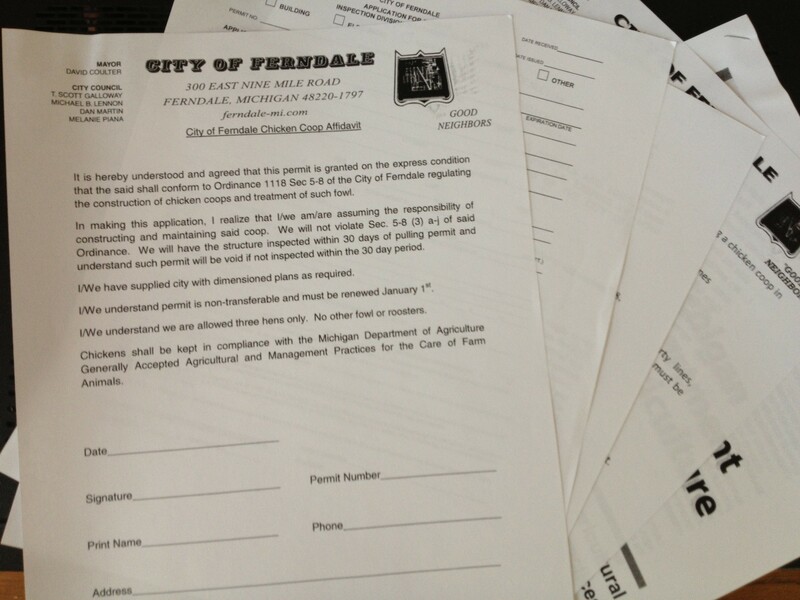 I picked up the official chicken coop building permit application last week at Ferndale City Hall. Right away, I decided the most challenging part of the proposal would be drawing up the actual site plan. But when it came down to it, that was a piece of cake. Matt had a friend draw up our yard dimensions in CAD, so all I had to do was sketch in our existing shed and the proposed chicken coop. It looks really professional. I also printed out various views of the coop from the plans I bought, along with a list of materials. I plan on turning in the paperwork tomorrow, along with the $35 permit fee. A city hall employee told me it should take two to four weeks to have my site plan approved. At that point, I will be issued a building permit, and I’ll have six months to complete the coop. If all goes well, Matt, Eric and I will be constructing the coop by mid-October. 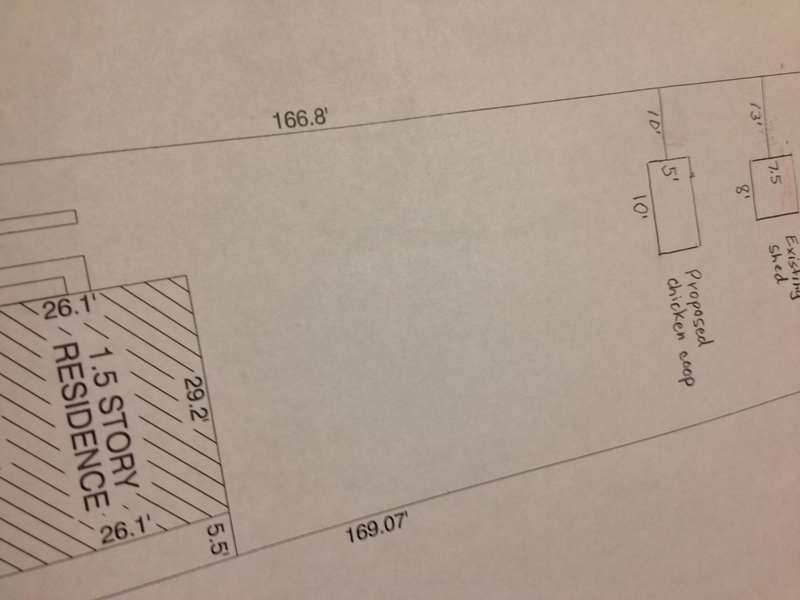 The location of our proposed chicken coop. WOW, what a process! I’m glad though because inviting non human animals to join your party is a big deal.